Contemplation of the surreal and a fast-paced mystery merge to deliver this satisfying fever dream of a novel. 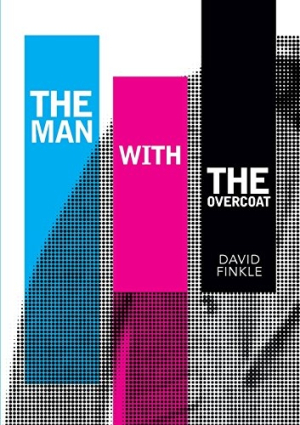 David Finkle’s The Man with the Overcoat is a satisfying, surreal tale wrapped in a taut, neo-noir package. Edward “Skip” Gerber, a thirty-seven-year-old real estate lawyer, unwittingly embarks on an life-changing adventure when he emerges from an elevator and a mysterious stranger hands him an overcoat. “Here you go, and be very careful with it,” the stranger says before disappearing into the crowd. Gerber sets out following clues in order to return the coat to its owner, which leads him on a trail throughout New York City. During his quest, other concerns fall away as Gerber reexamines his own life and finally realizes the true purpose of the overcoat. Finkle’s writing can be enjoyably playful, even within the constraints of his chosen genre. Gerber frequently refers to his fake Rolex with an array of “faux” synonyms, and there are plenty of colorful characters along the winding trail. The Man with the Overcoat is a literary novel that disguises itself as a mystery. It’s both page-turner and provocateur, a book that leaves cause for contemplation reverberating in the minds of readers.